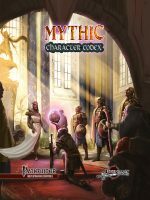 The Mythic Character Codex brings you an incredible array of expansions for the mythic rules for the Pathfinder Roleplaying Game! You’ll find exciting and innovative ideas for existing rules alongside a wealth of all-new material from the authors that know mythic like nobody else. 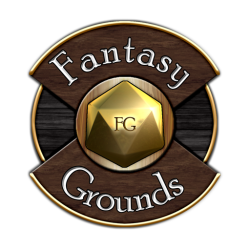 You’ll find options galore to suit any character build, with nearly 2,000 new rules elements from feats and spells to character options and class features, plus entire new systems to expand the impact of mythic beings in the world far beyond your character and their adventures! These rules elements can be incorporated into a traditional Pathfinder campaign as well as one using the full mythic rules! 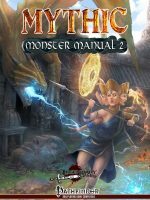 While this book is an encyclopedic expansion to the mythic rules and an ideal companion to the Mythic Hero’s Handbook and Mythic Spell Compendium, many elements are easily slipped into a standard campaign in the form of lost lore, secret mysteries, and the training techniques of revered and ancient masters. The lost relics of an ancient civilization or the peculiar traditions of distant empires can all be modeled with the mythic rules. Even better, since the mythic rules function like a template overlaid upon a standard character, mythic power can easily be given through divine blessing, mysterious ritual, or the hand of destiny, and then withdrawn after the climactic crisis has passed. – Three brand-new mythic paths – the bound, mystic, and reluctant hero – with nearly 200 path abilities exclusively for them! – Mythic class features for nearly 30 character classes and archetypes, including hybrid classes like the arcanist, investigator, and swashbuckler, base classes like the vigilante, kineticist, and unchained barbarian, prestige classes like the shadowdancer and fey-bound knight, and archetypes like the archaeologist and living monolith! – Nearly 700 mythic feats, including mythic versions of every feat from the Pathfinder Roleplaying Game Advanced Class Guide, Ultimate Intrigue, Ultimate Wilderness, Horror Adventures, Occult Adventures, Pirate Campaign Compendium, Forest Kingdom Campaign Compendium, and more! 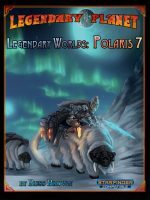 – Nearly 700 mythic spells from the same volumes, plus brand-new spells with both mythic and non-mythic versions! – An entire chapter devoted to mythic kingdom-building by the team at Rogue Genius Games, including mythic settlement qualities, legendary buildings and enchanted structures, mythic disadvantages like erratic time and restless dead, and sample mythic cities! – A comprehensive system of mythic marvels to really unleash the effects of mythic and legendary events and characters on your campaign world, including the impact of artifacts and curses, blighting and blessing of the land, integrating mythic trials and tiers and new mythic path abilities! The Mythic Character Codex is an ideal companion volume to the Mythic Monster Manual 2, Mythic Hero’s Handbook, Mythic Spell Compendium, and the original Mythic Monster Manual, as well as awesome expansions like Path of Dragons and Path of Villains to make your ultimate enemies shine the brighter and bring down the wrath like thunder! 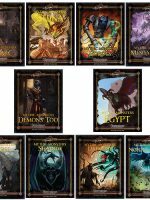 Add any of these expansions to your Pathfinder campaign and Make Your Game Legendary! A good 5th Edition campaign, like any good story, needs conflict and antagonists to lend it immediacy and drama, but a campaign with pure conflicts, without allies, family, romances, and other connections to friendly characters, quickly grows stale. 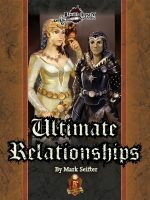 Ultimate Relationships is your ideal toolbox for developing robust and engaging relationships between your heroes and the NPCs that inhabit the world around them, making them more than just a pile of statistics or an uncaring avatar but really helping your campaign world come to life! Ultimate Relationships provides a concise yet detailed and flexible system for building camaraderie, connecting with NPC interests, and the rewards and benefits of relationships in the game, plus a roster of six detailed archetypal character roles that you can easily drop into a game, tailor to your particular campaign flavor, or use as models to build your own relationships with unique NPCs. Relationships offer dramatic high points, but the Ultimate Relationships system also lets you play through the quieter moments of building meaningful connections that make the big moments hit even harder. It also builds on secrets that can be revealed and hurdles that can be overcome together. Unlike other relationship systems that bottleneck on certain skills, Ultimate Relationships allows everyone to progress and reveal the NPC’s story at their own rate; it just might take some characters longer than others! When your heroes join with the important NPCs they meet to forge their personal journeys together, your 5E game will never be the same. 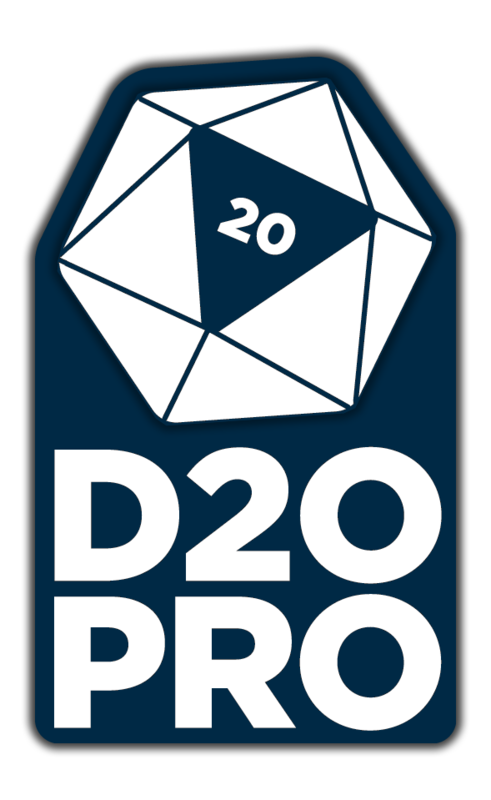 Grab this amazing 32-page 5th Edition accessory today and Make Your Game Legendary! Amazing Creatures of the Aethera System! • Dozens of new monsters of the animal, humanoid, plant, and vermin creature types. Each one with their own unique ecological entries and full color art. From planar-bound giants trapped between elemental transitions, to hive-mind plant creatures! • New options for playable races, like mindlink feats for the infused or fey morphs for zahajin. • New animal companions for all animals and vermin, allowing you to play a character that uses alien wildlife in battle. • Discover the secrets of the mythic paragons of Orbis Aurea! • New templates, including the immortal rootsworn and the botanical verdant creature! • Challenges for every adventurer and level of play. • New alchemical items, artifacts, feats, magic items, and MUCH, MUCH MORE! There’s more to interplanetary warfare than heroes battling monsters and small ship-to-ship skirmishes, and Star Battles provides a massive expansion to the basic rules provided in the Starfinder Roleplaying Game! Explore new character options for commanders, dog-fighters, and jury-riggers, and ship-focused spells and feats! Equip entire armies and battle squadrons with unit-level equipment, mass combat tactics, command boons, and special abilities! Conduct planet-side sieges and infiltration, bombardment and blockade, using the troop template to create your own armies to work alongside your heroes in standard Starfinder play or integrate with the best-selling Star Empires expansion from Legendary Games. Spaceship enthusiasts can connect the planetary action with star-spanning space fleets as well with layered mass combat rules, or can simply use this book as a huge cyclopedia of new ship options, including armor upgrades, new weapon properties, security and sensors, expansion bays, damage control, defensive countermeasures, hull types, crew rules and actions, ship stunts, and so much more! Plus nearly 20 ready-to-use pregenerated armies and fleets like the enhanced special ops, destroyer battalion, orbital command platform, and planetrazer cannon to declare your own intergalactic war! Launch plague missiles and orbital rays at your enemies, hide your secrets with divinatory shielding, make travel easy with teleportation bays, and unleash your wrath with the vesk hullcracker ram. Get ready to spend your hard-won credits, strap into the captain’s chair, and jump into Star Battles; this incredible 58-page astronomical accessory by Matt Daley, Mark Hart, and Jason Nelson will Make Your Game Legendary! 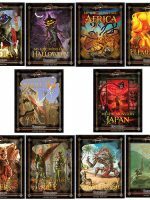 Legendary adventures deserve truly legendary treasures, and Mythic Treasures brings you a spectacular set of over 60 magnificent magic items to adorn your Pathfinder Roleplaying Game campaign. 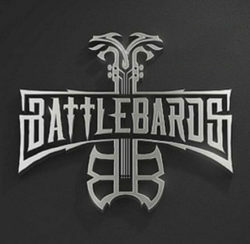 Each one offers exciting and dynamic options drawn from myth, legend, literature, and gaming history, like the dread fangs of the hydra, aeromancer’s heart, and yoke of the brazen bull, including an array of items inspired by cultures around the world like the crane kimono, hei matau amulet, and funerary pyramid. Every item has detailed powers and effects for heroes of every level, but all have additional abilities that can be unlocked only by those mighty mythic adventurers with the touch of destiny. You’ll find amazing armor, wonderful weapons, potent rings, rods, and wondrous items, and an array of awesome artifacts too. Plus, you’ll find a bonus section devoted to new legendary item abilities like mighty servant and soul drinker, along with advice for integrating mythic magic items into a non-mythic campaign, and more! Grab this amazing 56-page book of wonders by Jason Nelson, Loren Sieg, Pedro Coelho, Matt Goodall, Linda Zayas-Palmer, Thurston Hillman, and Alex Augunas and Make Your Game Legendary! The Askis World Primer brings you all you need to explore the fantastic world of Askis, where angelic avatars reign with stifling order and unsullied virtue, where those seeking freedom must step into the secret dark underbelly of the world to strike a blow… a murderous, blook-soaked blow… to throw off the gilded shackles of their beatific masters. Or you can play the glorious heroes seeking to stamp out those who would rebel against perfection. This 140-page resource contains all the player-facing information for antiheroes or exalted servants exploring the world of Askis, as introduced in the incredible Book of Exalted Darkness campaign setting available for 5E and Shadow of the Demon Lord, including amazing equipment, killer character options, setting and world lore, and so much more! Star Intrigue lets your star-spanning heroes find fame and fortune like never before, forging potent personal brands whose influence spans entire systems and founding factions to further their interests and promote their power across the planets. You’ll find rules for characters developing their own personal brands, allowing them to win friends and tip the balance in their favor in social situations based on their charm, acumen, and guile, pulling others into their orbit and setting trends. You’ll also find extensive rules for establishing factions in the campaign, from political alliances to religious sects, with power brokers and elites of every kind working to rise up and seize whatever they can hold. These rules can be used to enhance any Starfinder Roleplaying Game campaign, managing verbal duels and debates and building influence within existing organizations and gaining favors as PCs rise to prominence, or risking hazards if they fail their faction bosses for the last time. These faction rules also include options for integrating with the colony and nation-building rules in Star Empires, allowing your heroes to play off their rivals against one another and use their wits to consolidate power and secure their rule from threats that can’t be defeated by blasters. Plus, intrigue feats, sample factions, guidelines for adding factions to existing nations, and so much more! In the great game of interplanetary houses, if you want to survive you need to master the arts of Star Intrigue! Grab this spectacular 44-page supplement by Matt Daley and Ben Walklate today and Make Your Game Legendary!